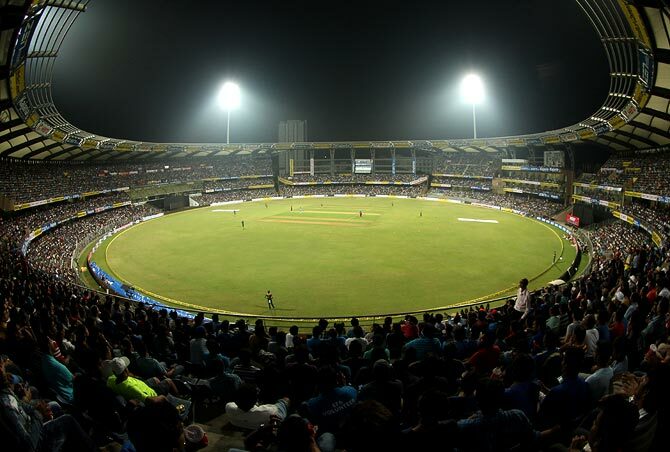 IMAGE: The Mumbai Cricket Association's Wankhede Stadium in Mumbai. Photograph: BCCI. The $385 million acquisition of TEN Sports is set to make Sony Pictures Networks a major cricket broadcaster in Asia as it seeks to expand its Twenty20-dominated portfolio. Sony Corp-owned SPN holds broadcast rights for the annual cash-rich Indian Premier League Twenty20 cricket tournament while also having the rights for the domestic leagues in South Africa and the West Indies. TEN sports will now add all three formats of international cricket to the network with the broadcast rights of boards in South Africa, Pakistan, Sri Lanka, West Indies and Zimbabwe. SPN's biggest competitor Star Sports, a unit of Rupert Murdoch's 21st Century Fox, owns rights to cricket giants India's home matches, Australia, England and also the International Cricket Council-organised World Cups. "We have IPL which is the biggest cricket property. That will now be complemented by the rights of five cricket boards that TEN Sports has rights to," SPN Chief Executive N.P. Singh told Reuters in an interview. "We are already the home of international football. We will now get the UEFA Champions League and the Europa League." Besides broadcasting the NBA and the NFL in India, SPN also holds rights for the 2018 FIFA World Cup in Russia, the under-17 World Cup, and soccer leagues such as Spain's La Liga, Italy's Serie A and the English FA Cup. With TEN also holding rights for football's UEFA Champions League, Europa League, French League and English Football League Cup among other sports, it will be a strong mix. TEN Sports also operates in several countries in South Asia, as well as the Maldives, Singapore, Hong Kong, Middle East and Caribbean, and will help SPN become a household name in those regions. "It's a deal of strategic importance for Sony. It's a step in the direction of consolidating our position in sports broadcasting," Singh said by phone. "TEN comes with a very strong brand and has been in the market for over a decade now and has been successful. 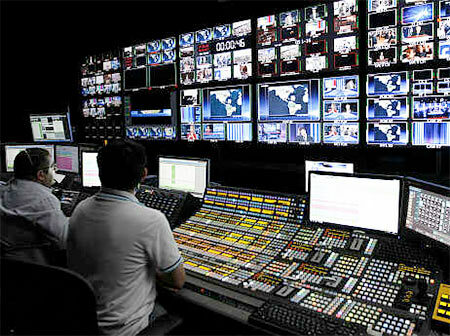 The network of channels also has a very strong portfolio of rights which complement our existing sports channels. "They have a strong footprint outside India as well. All this put together, it made perfect sense for us to make the acquisition." SPN, which last year struck a deal with sports broadcaster ESPN to launch new channels and foray into digital market, a Walt Disney unit, will continue to retain all the three brands -- Sony SIX, Sony ESPN and TEN -- as of now. Singh said growth in advertising revenue in India was dependent on events and an event like the IPL has seen a year-on-year growth of upwards of 15 percent. They are also focusing their efforts on growing their digital platform Sony LIV. "If there are big events like the FIFA or the cricket World Cup during the year you will see a surge in ad revenues," he said. "We are looking at upping our ante on original content creation exclusive for our digital platform."